It’s always cool to see the place where the grapes that made your wine were grown. And most vineyards are pretty gorgeous too. I just visited two amazing ones so figured a Vineyard Day was in order, starting with Cain in Napa. Cain was a stunner. 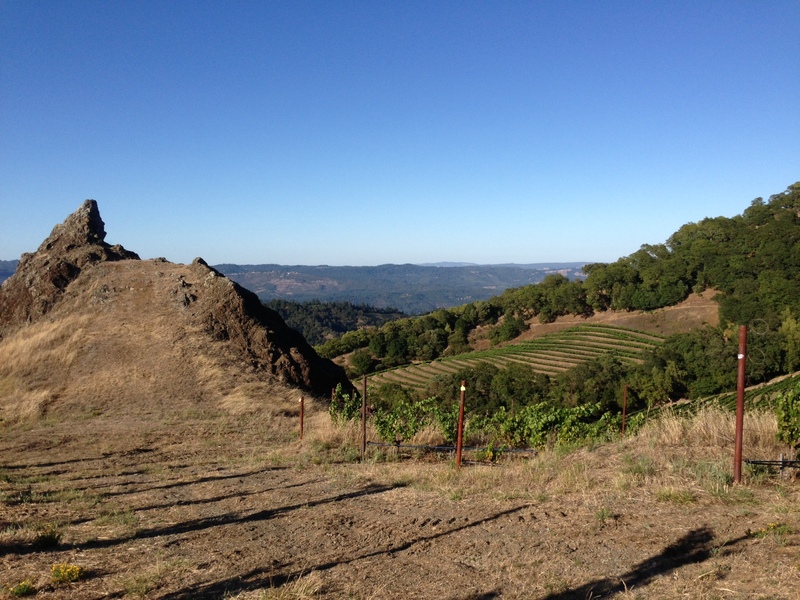 We drove up the slopes in big SUVs and then down into the bowl-shaped vineyard on Spring Mountain in Napa. (Someone needs to shoot a car commercial there.) The bowl lets all sections get exposure to the sun but the winds from the Pacific Ocean cool the grapes more than other parts of Napa, making a less bold and more elegant wine. Like an idiot I was wearing thin flip flops and couldn’t climb the rock La Piedra, but got some great shots (and a video) surrounding it anyway. Love this pic, but also makes me laugh how serious I look. Deep thoughts by Jack Handy type stuff. Cain makes a some really lovely Bordeaux-style blends, which we got to try at dinner after our vineyard tour. Loved the smoky 2004 and this 2008! Tags: cabernet, cain, napa, vineyard, wine. Bookmark the permalink. I am incredibly jealous. I miss Napa. 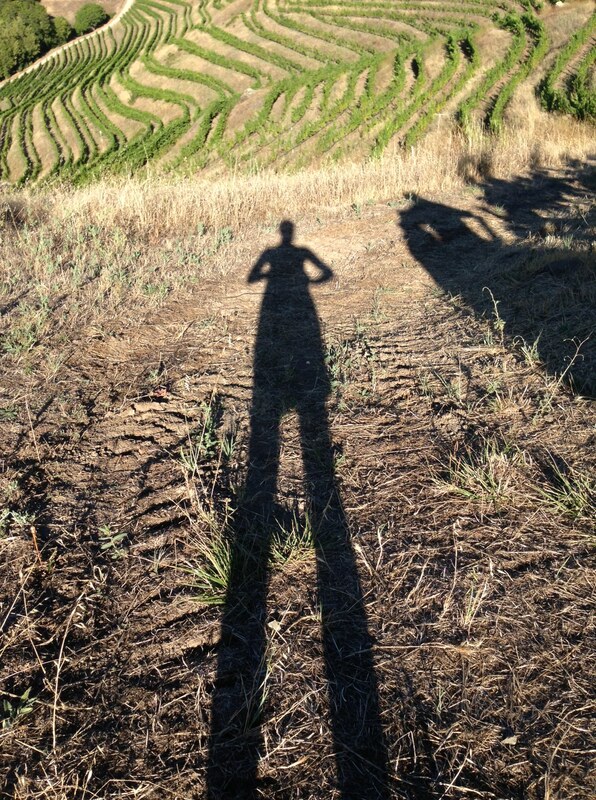 I miss touring vineyards. I miss hills and mountains. Thanks for posting, this looked fantastic! Great photos. Amazing they let you drive into the vineyard! Would not happen in Australia (they don’t even like you walking into the vineyard), because of the controls on the risk of phylloxera. 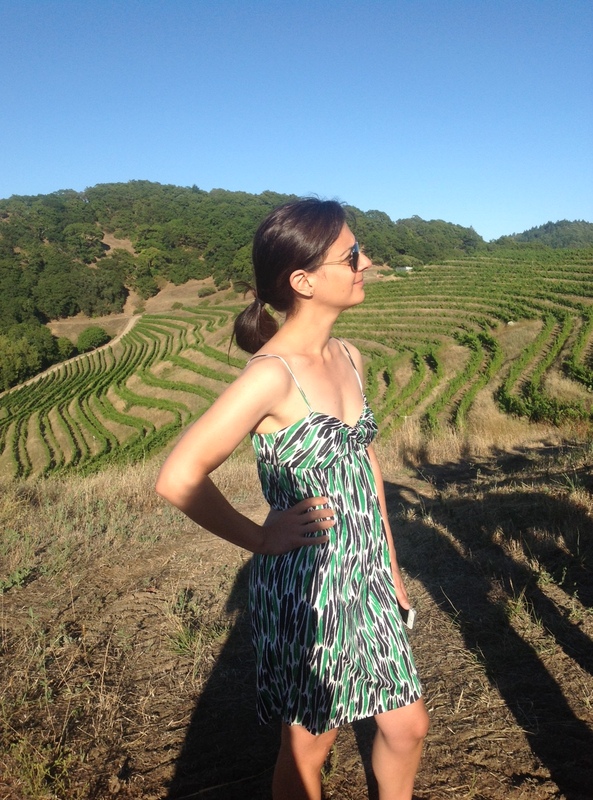 Wow – most vineyards here let you walk around. Not all, but many. Haha, love the “deep thoughts” reference! But seriously, those photos are stunning. I’m jealous! You really could not have picked a nicer winery, though getting there can be an adventure in it’s own right, as I remember. 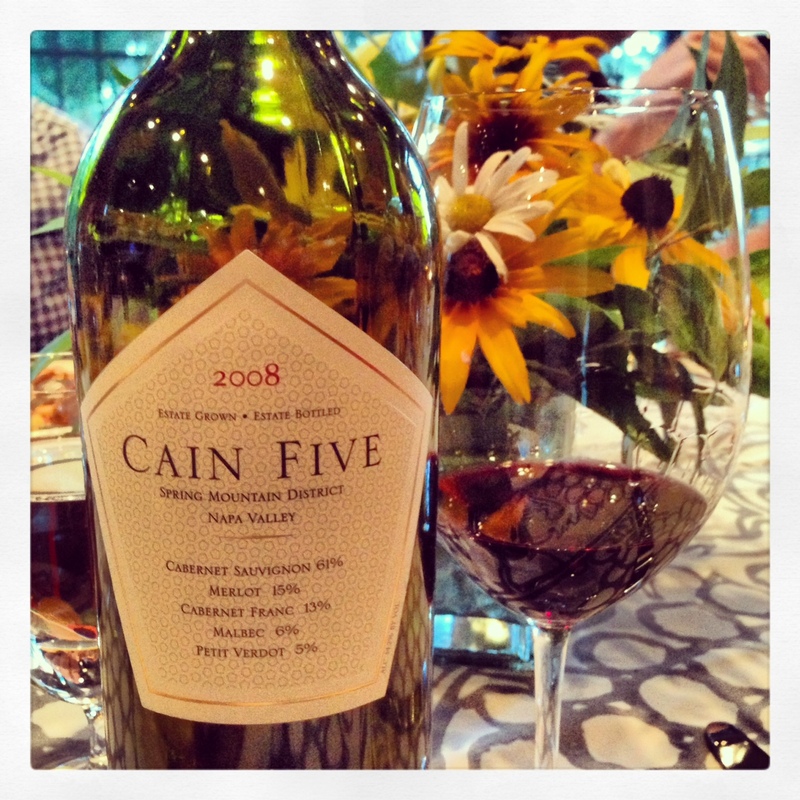 One of my favorite wines Cain Five, and I have enjoyed it for years. Keep up the great writing.